A bipartisan House bill has been introduced that would require disclosure of Medicare payment information on individual physicians and other healthcare providers and suppliers, to enable the public to compare providers of services. 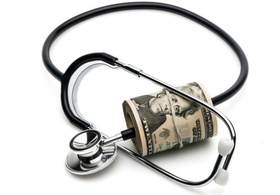 A companion bill has been pending in the Senate since June, and one Senate spokesperson says the final proposal may be added to the upcoming “doc fix” legislation to come later this year that would change how Medicare doctors are paid under the sustainable growth-rate formula. The Medicare DATA Act would amend federal public-information laws to remove a privacy loophole that has prevented the release of physician-specific Medicare payment data for decades. Proponents say such transparency could lead to closer scrutiny of high-cost doctors, and could provide insights on which Medicare doctors have the best clinical track records. The AMA and the federal government have long opposed such disclosure, saying such data can be misleading and that this would violate physicians' privacy. At issue is the Medicare claims database, which includes information on which doctors and other providers and suppliers bill Medicare, for how much and for what services. There is growing pressure for healthcare providers to disclose prices, as part of a move to a more consumer-directed healthcare system. Recent filings in a federal lawsuit in Florida suggest the Obama administration may be rethinking its opposition to disclosing the claims data. On Friday, Rep. Jim Sensenbrenner (R-Wis.), introduced H.R. 2843, which was referred to the Ways & Means and Energy & Commerce committees. Rep. Elijah Cummings (D-Md. ), is co-sponsoring the bill. The bill's language, though not publicly available yet, is identical to the Senate's Medicare Data Access for Transparency and Accountability Act, according to a spokesman for Sen. Ron Wyden (D-Ore.), one of four Democratic senators sponsoring the Senate legislation that was introduced June 18 by Sen. Chuck Grassley (R-Iowa). The text of the proposed Senate bill says it would do two things. First, it would publish the claims and payment data of “any provider of services or supplier” to HHS. It would also change public information laws to specifically exclude HHS providers from being eligible for privacy exemptions under the federal Freedom of Information Act. HHS still would have to keep the identities of patients receiving treatment through Medicare confidential, because the proposal says any information released would still be subject to the Health Insurance Portability and Accountability Act. The Senate version of the bill was first introduced in April 2011 and died in committee without a hearing on the Senate floor. But a Grassley aide said Monday that the bill has a much better chance of success this time around because of “noticeably more momentum behind data transparency and availability.” That is reflected in the CMS' release of data earlier this year on hospital charge data, and on the federal push for coordinated care, which relies on data-sharing. Grassley and Wyden published an op-ed in Politico today urging passage of the legislation. “This should be a transformational moment in the debate over healthcare—a moment when the most useful information about costs finally becomes easily accessible to patients, providers and insurers,” they wrote.